This gold and diamond necklace from Forevermark's Tribute collection is on-trend and terrific! Crafted in 18K white gold, a pear-shaped diamond is bezel set sideways in a pendant with a striking modern silhouette. Wear the pretty piece solo or with complimentary designs by the brand to create your own look. 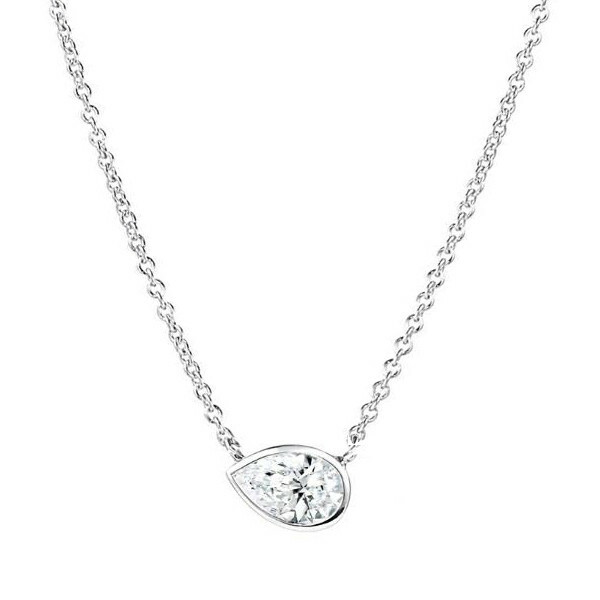 This Forevermark pendant necklace acknowledges your sparkle, inside and out!